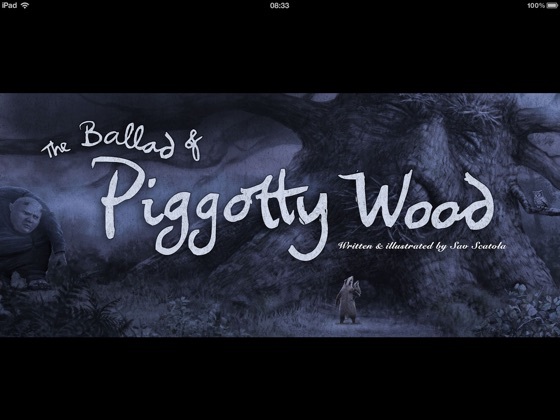 Little Badger Joe lives in Piggotty Wood, once a wondrous world now ruled by an evil queen. Life is harsh, fearful and ugly. Yet Joe's grandmother tells childhood tales of carefree times before the heartless queen's reign. Piggotty Wood was beautiful. Life was rich and rewarding. The seasons passed happily as a tranquil dream. Those days of freedom seem forever lost. Then one day, as Joe's father passes by a gigantic ancient oak, it suddenly, terrifyingly roars to life, demanding little Joe be brought to its roots in apparent sacrifice. Father bravely refuses, but when Grandmother is kidnapped instead, a terrifying set of events are triggered which change Piggotty Wood, and Little Badger Joe, forever. 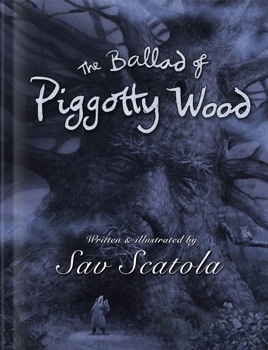 The Ballad of Piggotty Wood is a tongue in cheek, but affectionate look at the kind of stories the author enjoyed when he was young. I am an adult. I've admired Sav's work for years. And have the printed copy of this book. 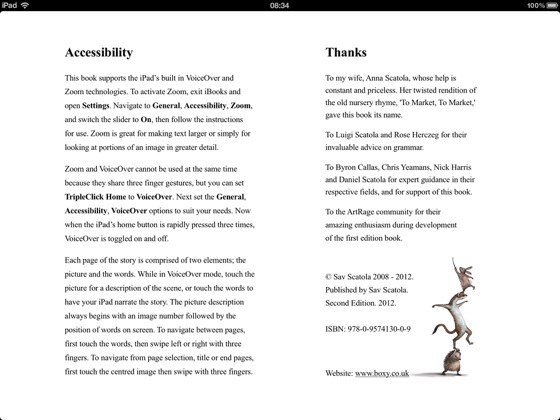 So when he released this as an iBook I was thinking do I need it, I have the hard copy? 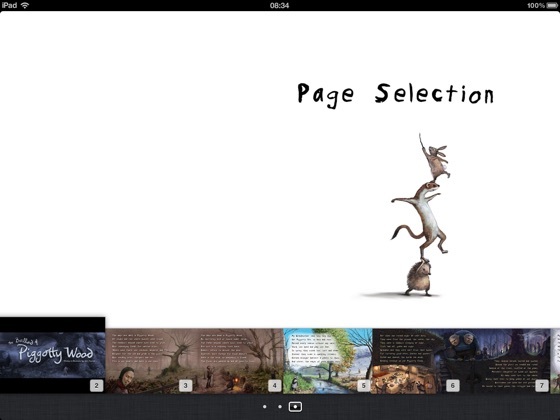 WRONG, interactive is far more engaging, the trailer adds excitement and the lit screen makes the illustrations come to life. Not to mention it's a good story and who does not think badgers are heroes (I'm from Wisconsin). Get it, appreciate what artists can do these days. AND do read it to a child. ASAP.